What could be better on a Thursday night than an old time radio episode about legal concepts which may or may not apply in the 21st century? Lots of things, perhaps, but that’s beside the point. 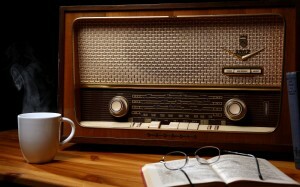 Old time radio is great fun, and the Case Dismissed series is incredibly entertaining. That series, of course, was sponsored by the Chicago Bar Association back in 1954 and contains all of the overacting and overblown drama you’d expect. This short-lived series was more fun than a barrel full of monkeys and should be truly appreciated by those who appreciate the vintage entertainment. ← Standard language in a commercial lease?